Now Wireless is a leading supplier of MMS, SMS and WAP server products to the mobile wireless industry, with the Now SMS & MMS Gateway server powering SMS and MMS applications for over 3000 customer installations in more than 125 countries on six continents and dozens of island territories in between. The Now SMS & MMS Gateway server is a powerful multi-protocol content delivery solution for SMS and MMS messaging. SMS protocols supported by NowSMS include SMPP, HTTP, UCP/EMI, CIMD2, and GSM/3G modems. MMS protocols supported include MM7 (versions 5.3.0 – 6.13.0, plus various non-standard variations from other vendors), MM4, MM3, MM1 and EAIF. Clear SMS and MMS API examples are provided for Java, PHP and command line interfaces. These API examples can be found at our NowSMS APIs page. NowSMS is a scalable solution that is affordable for development, testing, with scalability to support full production mobile operator systems. NowSMS is available in four different editions designed to meet different customer requirements. NowSMS MMSC Edition: This edition is designed for use as an operator MMSC, and supports full SMS and MMS functionality, including support for automatic provisioning of MMS subscribers. NowSMS Gateway Edition: This edition is designed for service providers, corporate customers, developers and testing services. All types of SMS and MMS connectivity are supported. MMS functionality excludes support for automatic provisioning of MMS subscribers as required in a mobile operator environment. NowSMS Modem Edition: This edition is designed for sending and receiving SMS and MMS messages via multiple GSM modems or Android phones only. All developer APIs, including SMPP, HTTP, SMTP, and MM7 are supported for client connections only. NowSMS Lite (Single Modem Edition): This edition is designed for simplified installation and setup. This edition supports sending and receiving SMS and MMS messages via a single GSM modem or Android phone only. NowSMS Lite can be updated to other editions by purchasing a license upgrade. The trial version of the Now SMS/MMS Gateway provides the full functionality of all product editions. It is unusual for any one NowSMS installation to make use of all of the features of NowSMS. It is more typical that customers will use only one, or a few, of the many features of NowSMS. Below are some of examples of the more common ways that different customers use NowSMS. It is by no means a comprehensive list of usage scenarios. SMS Server Gateway – NowSMS can manage simultaneous connections to one or more SMSCs, supporting the major SMSC protocols, including SMPP, UCP/EMI, CIMD2, HTTP, and/or GSM modems. NowSMS handles the low level protocol details, and makes it easy to switch between different providers, as well as making it easy to add additional connections for situations where it is advantageous to route messages for different countries via different providers. 2-Way SMS and MMS Application Enabler – NowSMS is a great tool for enabling rapid development of interactive SMS applications and services. When NowSMS receives an SMS message, it can be configured to dispatch that message to a script running on an HTTP server, to a local executable program, or local script or batch file. This provides a simple way to get received messages into an application, so that the application can perform custom processing on the message. The application can generate a simple reply back to the received message, or perform more advanced application specific logic. MMSC – NowSMS is an Multimedia Messaging Service Centre, or MMSC. It has the capability to support person-to-person (phone-to-phone) MMS messaging, as well as application-to-person and person-to-application MMS messaging. MM4 support enables these mobile operators to interconnect their MMS platform with other mobile operators. Over 30 mobile operators are using NowSMS as an MMSC to enable multimedia messaging on their networks. MMSC for Application to person messaging – In many environments, NowSMS is implemented as a secondary MMSC to enable application to person MMS messaging, while another MMSC provides person-to-person MMS messaging services. WAP Push Proxy Gateway (PPG) – NowSMS makes it easy to send WAP Push messages, supporting push message submission via a simple HTTP interface, as well as support for the more advanced Push Access Protocol (PAP) interface. NowSMS also includes support for Multimedia WAP Push, which can be used as a lower cost alternative to MMS for the delivery of multimedia content. Digital Rights Management (DRM) Enabler – NowSMS provides a simple interface for sending out MMS or WAP Push messages with DRM Forward-Lock enabled. NowSMS also supports the encoding of more advanced DRM rights messages by supporting OMA DRM 1.0 with full support for both combined delivery and separate delivery. NowSMS also supports ROAP Trigger messages (root XML element <roap:roapTrigger>) as defined in the OMA DRM 2.1 specification. 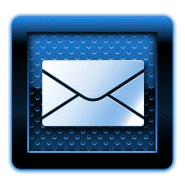 E-Mail to SMS or MMS Gateway – NowSMS can be configured to provide bi-directional e-mail to SMS and MMS support. Testing Tool – Because NowSMS supports a wide range of protocols, NowSMS is a popular tool for device manufacturers and testing labs.